The BrahMos supersonic cruise missile is difficult to be intercepted by surface to air missiles deployed on leading warships around the world. The BrahMos supersonic cruise missile has been jointly developed with Russia. 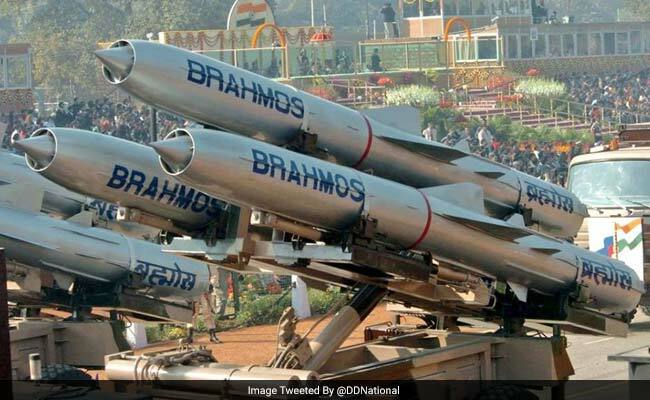 New Delhi: BrahMos, the world's fastest supersonic cruise missile, was successfully flight tested from Rajasthan's Pokhran test range this morning. In a major milestone, the air-launched variant of the BrahMos was successfully test fired from Sukhoi-30 jet in November last year. The cruise missile is supersonic, which implies a speed greater than that of sound. Work is underway to integrate the BrahMos supersonic cruise missile on 40 Sukhoi combat aircraft which is expected to fulfil critical needs of the Indian Air Force in the wake of evolving security dynamics in the region. The BrahMos has been inducted into the Navy and Army from 2006 onwards but the latest version is more versatile. Unlike warships, a BrahMos armed Sukhoi-30 can fly 1,500 kilometres in the direction of a hostile target out at sea. The capability of the Indian Air Force to strike from large stand-off ranges on any target in sea or land is expected to go up manifold once the project is completed.